AGONAsport’s Nick Tsambouniaris continues our AGONAsport LEGENDS series with a tribute to the emperor of Greek Basketball, Panathinaikos’ Pavlos Giannakopoulos who passed away on Sunday. Early last Sunday morning, the Panathinaikos and Greek basketball worlds alike were rocked to bits by the loss of Pavlos Giannakopoulos, the man who put Panathinaikos and Greek basketball on the map, at the age of 89. Along with his younger brother Thanasis, Panathinaikos conquered European basketball by winning a whopping 6 European trophies, 1 Intercontinental Cup,13 domestic Championships and 9 Greek Cups. His love for Panathinaikos from a young age was never in question and it remained that way right up until the end. This can be illustrated by the manner in which he served the club for over 25 years as President of the Basketball Club and other Amateur Departments. In order to obtain a greater understanding of his unconditional love for the Trifylli, a deep dive into his story is needed. Giannakopoulos was born in Athens on the 20th of August, 1929. His father, Dimitris, had a pharmaceutical company. Growing up, Pavlos and his younger siblings were big sports (and in particular Panathinaikos) fans, playing football on most days after school. They did not have much growing up, but this taught the children to accept and appreciate what they had. This outlook enabled Pavlos to remain humble throughout. According to Pavlos, his love for the Trifylli started from a young age and his first memories included going to Apostolos Nikolaidis Stadium with his family to watch football matches at 10 years old. This became a regular event and it was something Pavlos looked forward to. In 1971, Pavlos and his two younger brothers, Thanasis and Kostas, decided to incorporate Viamex - their pharmaceutical company. This is where things really went to the next level in a business and entrepreneurial sense as the business went from strength to strength. This was the company their father started in 1924. By 1977 its first manufacturing activities begun and more plants opened throughout the 1980’s and 1990’s around the country. In 2006, a subsidiary company was formed to focus on research and development out of the Patra plant. The company now employs over 1,000 people and has an annual revenue of over 250 million Euro. 1971 was also symbolic for Pavlos in the sporting domain, as Panathinaikos reached the European Cup final where they took on Ajax at Wembley. Pavlos was on the Board of Directors. Over the next few years, Pavlos rose within the administrative ranks of the club and this culminated in him taking over the presidency of the Amateur Departments and Basketball Club. Right from the get-go, the hard-working and ambitious entrepreneur was determined to make the Greens a force on the European stage in basketball. Rumour has it, he was so determined to make Panathinaikos a dominant force, that one of his first moves was telling the coach at the time to “bring him players from the NBA”. The club’s renaissance under his ownership is truly unthinkable as Greek basketball great Nikos Galis was lured in 1992. This kick-started the surge and resulted in more stars joining the Greens such as Dominique Wilkins and Byron Scott (from the NBA), Dejan Bodiroga, Zeljko Rebraca, Panagiotis Giannakis, Fanis Christodoulou, Dino Radja, Stojan Vrankovic and Dimitris Diamantidis, just to name a few. The first success in Europe came in the 1995-96 Euroleague season by beating Barcelona to the title. After that, the club’s pedigree constantly grew and by 2011 the sixth European crown was delivered. In 2012, Pavlos decided to take a step back and relinquish control of the club. This allowed his son, Dimitris to take the reigns. Under Dimitris, the club has not tasted success in Europe to date, but has won several trophies in Greece and still remains a force to be feared outside the continental stage. The popularity and interest as evidenced by the high crowds at matches today, are in no small part down to the hard work and determination of Pavlos. Giannakopoulos loved all things Panathinaikos, but above all he was a gentleman who cared about everyone. This is why he is loved by all. This cannot be illustrated in a clearer manner when he helped Gate 7 when tragedy struck. The hatred and animosity between the Eternal Rivals is always there for all to see, and many others would have avoided this gesture, but not Pavlos. 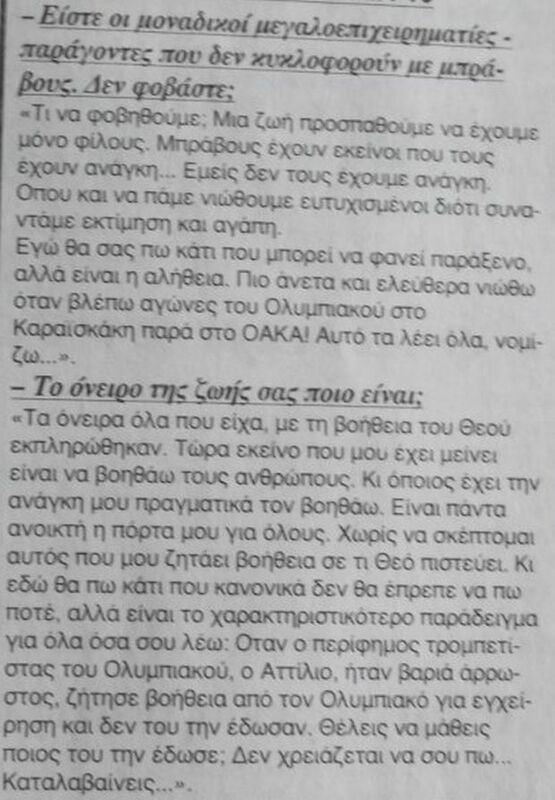 In an interview in 1997, his brother Thanasis revealed he was by the side of a fanatical Olympiakos fan, Attilio who was sick in hospital but did not have the financial ability to pay for the medical costs himself. Furthermore, six years earlier, he donated medicines and money to the “Tzaneio” hospital and the families of the injured fans after the well-known stadium disaster in a match between Olympiakos and AEK. Panathinaikos Basketball Club issued a statement on Sunday. It read “Panathinaikos Superfoods is looking for the words to say goodbye to Pavlos Giannakopoulos, the man who changed the club’s history, Greek basketball, and Greek sports. Pavlos Giannakopoulos may have left today, but his ideas will live and create new generations of Panathinaikos forever. Pavlos Giannakopoulos. The man who will live forever in our hearts”. These sentiments were echoed by former Panathinaikos player, Dimitris Papanikolaou, who passed on his condolences and praised Giannakopoulos for his “contribution to Greek society”. Papanikolaou, who moved from arch-rivals Olympiakos to Panathinaikos, also said Pavlos was “not afraid to assume responsibility” and “was very close to the players, so he had a universal acceptance”. 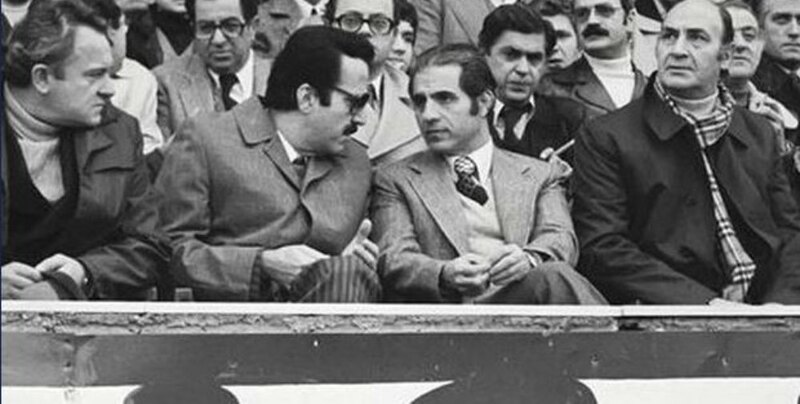 As fate would have it, Giannakopoulos passed away on the same day as the 47 year anniversary with the club management side of things. On the 10th of June, 47 years ago in 1971, he had his first involvement in an administrative position. Rest in Peace Pavlo, your influence on Greek sport and society will remain for an eternity.